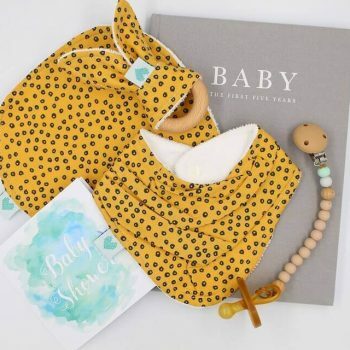 Get the girls together to give stylish baby gifts that are both practical and stylish. 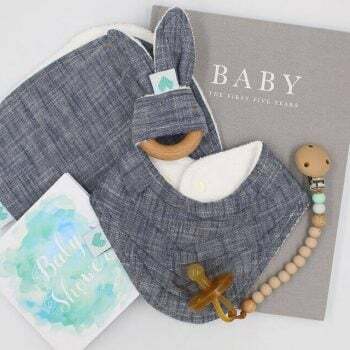 The Deluxe set includes some of our beautiful handmade items including our burping cloths, bandana bibs and bunny teether. 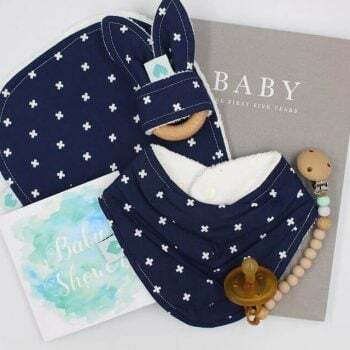 We have also combined these with quality baby accessories including a Natursutten dummy, a dummy chain and a baby record book.